Recently in December 2013, the Indian Central Bank (Reserve Bank of India, RBI) decided to not regulate, and stated clearly that they lacked expert knowledge on the subject at that time. So they cautioned people not to trade in Bitcoin or any other similar crypto-currency. A few days after, one exchange and a Bitcoin information (and dust holder) site closed down, BuySellBitCo.in and rbitco.in, respectively. These actions were undertaken by the RBI’s own Enforcement Department (ED), which conducted the search and closure operations on two properties. These incidents occurred immediately after the following RBI announcement. This heavy-handed approach came with only the bank’s statement that crypto-currency was to be free within India, unregulated, but free. You may guess that depends on one’s given definition of ‘free’. With the world’s second largest population at 1.237 billion, nearly the majority of citizens in India are amongst the unbanked, crypto-currency could do very well to get a proper foothold within the Indian sub-continent. 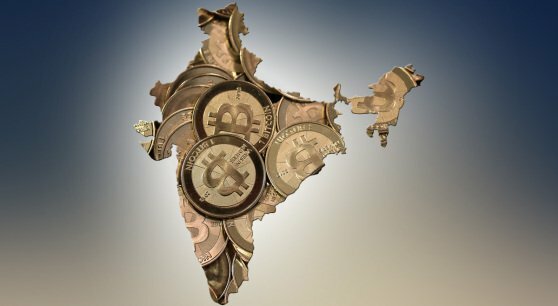 An excellent piece on the regulatory framework within India and how it relates to Bitcoin and crypto-currency can be found here. Summarizing that crypto-currency, under current regulation and legal framework, cannot be regulated, though with new regulation it may yet come under the umbrella of the political and banking powers. The RBI-ED then requested information on what these businesses actually do, the same businesses that they had just forced to close down. One of the affected businesses (rbitco.in), a website that explained the basics of Bitcoin and allowed registered customers to deposit ‘dust’ Bitcoin that customers gained via visiting various ‘free Bitcoin’ websites and promotions. The site allowed people to withdraw their dust once their account acquired a total of 0.5 or more. We can reveal that one of the individuals who had their house raided and closed (Nilam Doctor) ran this particular website, and after the property seizures the ED forwarded these questions. The details of the sale and purchase of the Bitcoin. The details of your employees in India. In summary, the site neither sold nor purchased any Bitcoin, and it was run by a single person (Nilam), and KYC was registered emails (seeing as customers only deposited dust and then withdrew their own dust once it accumulated to the required amount). Could it be drawn from these questions that the RBI-ED in fact knew nothing about the investigation and closures they were enacting? Who was pulling the strings if a law enforcement department can be sent off with no investigation or any pre-knowledge of what they are doing? The Bitcoin Alliance India (BAI) and Bitcoin community members discussed the issue and released a press release with regards to the RBI and RBI-ED approaches towards crypto-currency and the legitimacy of a free market. Nishith Desai of Nishith Desai Associates explains the illegality of Bitcoins within India post RBI-ED invasion, in that Bitcoin (in India) is not illegal, yet the governmental authorities have the responsibility to warn national residents of the dangers inherent within the Bitcoin economy. Nilam Doctor has advocated for bitcoin through his media presence, Paying in a different coin, Viable and attractive bitcoin and Towards a trading platform. He also contested for the Bitcoin Foundation individual seat; transcript is available here. He has been an outspoken pro-active Bitcoin supporter and advisory expert, and one of the individuals accosted has informed us that to date, the BAI are now waiting for the conclusion of an RBI central meeting with regards towards Bitcoin and their ‘illegality’ and function within India. This meeting was to have occurred two weeks ago; the BAI and related Bitcoin experts and community participants are awaiting the RBI’s conclusion to this meeting. RBI was also issued a letter by Venugopal for assistance deciding about bitcoin’s fate, but the BAI have been waiting for nearly a month for a response. Naavi.org (Vijayashankar Na) also published some articles on bitcoin during the RBI-ED inquiries. In personal correspondence on the ongoing situation within India, Nilam Doctor informed us that they recently opened his sealed property in India, for the purposes of searching for bitcoin related money laundering documents and similar incriminating materials. To form Bitcoin Foundation (India) as a non-profit organization in India. Hold meeting with senior government offices in major cities. Hold meet-ups with pro-bitcoiners in Bangalore, Mumbai, New Delhi, Pune, Hyderabad, Jaipur, Ahmedabad, Calcutta, Nagpur. Create awareness to the benefits for general public to use virtual currencies. During the tour to India, he will publish weekly reports of the development here on Bitcoin Magazine. In the most recent article from the Sunday Guardian, Nilam Doctor has been portrayed as the Master of Bitcoin (in India) by the ED, clearly showing a strong lack of understanding of the concept behind decentralization and what Bitcoin really is. If you wish to contribute to the Bitcoin movement within India then please feel free to donate: (1BfindEetm8qpwJH2M7Ht7rgmLztwpX83P). When 40 BTC is raised Nilam will tour India, visiting the relevant authorities and establishments on behalf of Bitcoiners as a whole, and especially those within India. He has informed us that he will keep us updated on all progress. Nilam can be contacted directly via (nilamdoc AT gmail.com). Nilam is a Lifetime member of the Bitcoin Foundation, one of the Founders & Directors of the Bitcoin Foundation India (chapter) and a Bitcoin Exchange developer.